I interviewed Jesse Grimes who’s one of my favourite YouTubers. He is currently running a gofundme to take him to the The Ecological Landscaper Immersion program (details below). In Part 1 we talk Permaculture, Ant Village at Wheaton Labs and Standing Rock. In Part 2 we talk Technology, bikes and the future! This post is mirrored on the solarpunks.tumblr here if you prefer. SPS! Where did you grow up? What was your local/neighbourhood environment like as a kid? I lived in Chandler, Arizona until I was 12 years old, in a pretty typical suburban tract home. There were lots of green lawns and a few people with rocks and cactus in their yards. I was a pretty normal kid, and I was really into science. My mom would take me to the public library every week and I would check out those books that showed the insides of airplanes or skyscrapers. When I was 5, our neighborhood was pretty much surrounded by corn and cotton fields, and a few dairies. One of the major cross streets was still dirt. By the time we moved in ’97, all but a few remaining farms had been replaced by more housing developments, and the edge of the city was ten miles further out into the desert. We moved to San Clemente, California, right at the southern edge of Orange County. It was a bit of a culture shock, but I was really happy to be by the beach, and I was really excited to have hills and green everywhere after living in the flat Sonoran desert. I started riding BMX a lot more, and eventually took up surfing as well. Towards the end of high school I became really interested in social and environmental issues. SPS! Previously you said you discovered Permaculture back in ~2011 and it changed everything for you. Can you expand on that at all? By that time I was well aware of the environmental destruction happening all over the world, and I still held the more traditional views of environmentalism that said we should try to preserve nature in its pristine condition by pretty much just leaving it alone. I had been working for a local water district as a meter reader, so I got to walk around and see all the front yards, and all the water that was being wasted keeping lawns green in the middle of the desert. I got promoted to collections crew, aka sewer maintenance, so then I got to see first hand the environmental nightmare that is our waste-water collection and treatment systems. I found out that I was part of an army of public utility workers who were working every single day to basically keep our civilization from collapsing. Working in the streets and neighborhoods, I also watched another army of landscapers burning gas and making noise all day just to keep the city looking a certain way. I saw that all of the systems our civilization is built upon are deeply flawed, so I started working towards an environmental engineering degree with the hopes of redesigning those systems to be more sustainable. All the while I was learning more about sustainable systems, things like rainwater harvesting and treating wastewater with constructed wetlands, but I was also learning more about how public organizations and government agencies operate, how resistant they are to adopt anything new unless it has been proven over and over. By the time I first heard the word “permacuture,” I was already starting to become a bit jaded by my experience at the water district, and getting more and more pessimistic over the way humans seemed to be doing everything they could to destroy the planet. There was a short intro to permaculture workshop, and the teachers basically just walked around a home and talked about all the different ways in which the home and it’s inhabitants could be connected in a way that would make things more efficient while having a positive impact on the surrounding environment. They were talking about techniques I had already heard about, but what was special was the way in which they decided how and why to apply them. They used a set of simple principles that helped guide their decision making, so that everything was put into a positive or neutral relationship with everything else. That’s when it kind of clicked, the problem wasn’t that humans were bound to destroy the planet, we have just forgotten how to create good relationships, with both each other and our environment. In permaculture, I saw a simple set of tools that could be used by anyone to create a good relationship with the environment around their own home. If individuals people could learn how to relate to the natural world, perhaps they could learn to relate to their neighbors in a positive way. I realized that real change would come one house, one neighborhood, and one community at a time. Moreso, I saw that instead of simply preserving Nature by simply leaving it alone, we could actually help nature become more abundant by choosing to participate in a good way. I soon lost all interest in environmental engineering, and started devoting myself to learning environmental relationship through permaculture. Lot’s of people talk about a paradigm shift when learning permaculture, but that’s really what it boils down to. SPS! 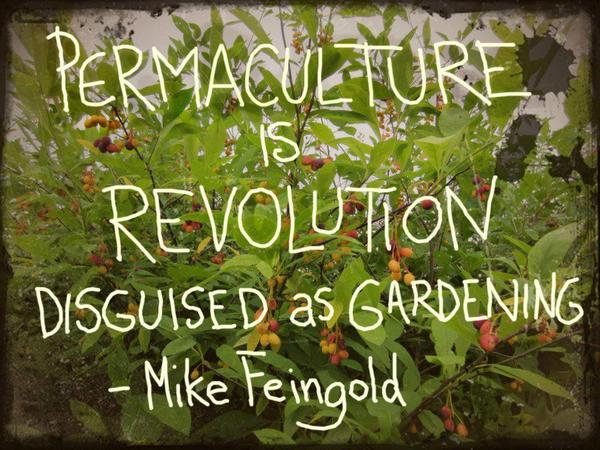 Mike Feingold has said that “Permaculture is a revolution disguised as gardening”. What does permaculture mean to you? It’s that paradigm shift I just spoke about. Permaculture empowers people with the tools to be responsible for their own existence, to grow their own food, build their own house, and create their own economy with the people and land around them. The majority of people in the western world are completely reliant on external systems to enable them to live. When you are relying on outside systems to support you, you are giving over a tremendous amount of power to the people running those systems. Big oil and big agriculture have so much power and sway within our government and our culture because, consciously or subconsciously, everyone knows that without those industries we would freeze and starve. So providing your own food, water, clothing, and shelter is a hugely revolutionary act, because it takes that power back. Who care’s what the price of gas is when you don’t have to drive a car to work, or to the grocery store for that matter, because everything you need exists within walking distance of your front door? A big misconception about permaculture is that it means doing all this by yourself, on your own homestead, or with a few families in some imaginary ecovillage. In reality, the best possible place to do permaculture is often right where you currently live, with the people in your neighborhood, and it doesn’t necessarily mean growing all of your own food. If you collaborate with the people right around you to discover, create, and cultivate positive relationships, there is a huge potential to build a local economy that provides nearly everything that you and your neighbors need to live. 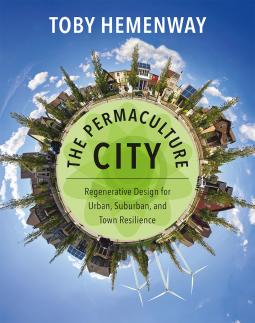 The late Toby Hemenway’s book, “The Permaculture City” really opened my eyes up to this concept. SPS! What is the one thing people should know about Permaculture that sets it apart in people’s minds from being some kind of Aggressive / or Political Gardening? That it really isn’t about gardening, it is a decision making process. Permaculture is a set of tools that can be applied to pretty much anything. A garden is an excellent place to practice using these tools, because they are all based upon the patterns of nature, but you could just as effectively apply permaculture design to your business, or the way you organize the dishes in your kitchen cabinets. The aim is to create positive relationships between all the different elements in your life, from your garden, to your work, to your family, to your neighborhood, and beyond. In really excellent design, nearly everything is arranged in such a way that these positive relationships happen automatically, or with very little effort. Just like how a tree collects water from the morning dew and directs it to the roots with zero effort, simply because of the way it’s parts are shaped and arranged. SPS! Permaculture has a well documented history and a lot of content out there at the end of a Google search. If someone wanted to get into permaculture, without knowing any details — What is the best entry point for them that you would recommend? There is an incredible amount of content available under the umbrella of permaculture, and because of this it can be quite easy to get a skewed view of what it means to practice permaculture, based on the particular avenue you arrived by. I’ve been guilty of this myself over the years, and may still be at times. I think it is really important to start by getting a very clear understanding of the principles of permaculture, because these are the tools we use to guide our decisions and direct our actions. The results of permaculture design can appear quite different depending upon the context, but the principles are always the same. If you have a clear understanding of the principles of permaculture, everything else will be easier to understand, and your application is going to be better. SPS! You have a plot in the Ant Village! How did you end up at Wheaton Labs in Montana? After I took my first permaculture design course I was looking for more training and more experience, so I spent some time doing volunteer work at various farms and permaculture projects. Wheaton Labs was one of my stops in the summer of 2014. I really liked how enthusiastic Paul is about practicing permaculture, and experimenting with new ideas. A lot of the places I had volunteered for talked about doing permaculture, but really weren’t putting it into practice very much. Plus, I got tired of working on projects that I was never going to see the results of. I wanted to dive right into practicing permaculture for myself, but I knew I needed more skills and experience. I learned about the Ecological Landscaper Immersion program, and signed up for the 2015 session, excited about the opportunity to get a real working knowledge of permaculture by learning under people who were already doing it professionally. 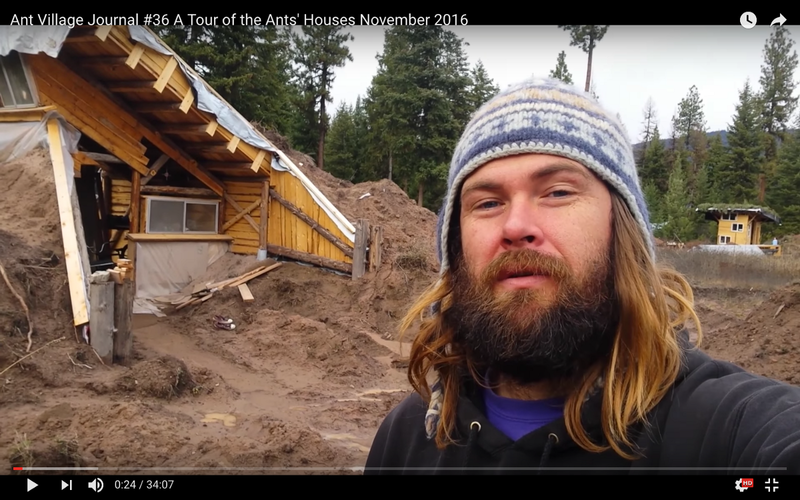 The ELI course ended up being canceled that year, so I was left with my $800 deposit and a strong desire to do something big involving permaculture. Paul Wheaton’s Ant Village Challenge was the only other thing that felt big enough. I figured that the next best way to learn permaculture was to just go do it, and the Ant Village offered the ability for me to practice on my own acre of land, with a very encouraging landlord, and the rent was only $800 for the next year and a half. On my previous trip to Wheaton Labs, I had greatly enjoyed being around so many people who were genuinely excited about permaculture, and I knew that lots of permaculture experts made visits to Paul, so that was a pretty big draw for me. SPS! How is your house coming along? — Plans for next season? First off, building a house from scratch is an incredibly humbling experience. It has taken a lot longer than I expected, but I’m thankful for every second because I have learned so much that will make the next one easier. This house is earth sheltered, and last fall I finally got the house buried. I did a lot of experimenting with insulated thermal mass using cardboard as insulation, since Paul’s guidelines prohibit rigid foam. It ended up taking a good two weeks to get all the layers of cardboard and polyethylene sheeting where they needed to be, and all the soil on top. I dug and dug with the toothless excavator, and then dug some more by hand, until I finally had enough dirt on the roof and all around the house. There’s a couple videos about it on my Youtube channel where you can see just how much dirt I had to move. There’s still some more that needs to be moved around. The house wasn’t ready in time for winter, and I was out of money, so I had to leave the house unoccupied for another winter. I’ve recently decided to enrol in the Ecological Landscaper Immersion again, so I won’t be spending much time in Montana this year. I am planning to go back for a couple weeks in May to put windows, doors, and walls in the two sides that are not earth sheltered. I’m going to use pallets stuffed with straw and plastered with cob. I’d like to get the house to the point where I could at least sleep in it comfortably next winter, if I choose. SPS! What have been your biggest learnings from spending time in the Ant Village? Both practical and personal. I think the biggest lesson has been in the power of collaboration. I spent so much time trying to do things on my own, and I just wore myself out. I got some things accomplished, but it really wasn’t very effective. For a long time we had the contest aspect happening. There was a potential to win ownership of your plot if it was the best, so even though there wasn’t a very strong sense of competition among the Ants, everyone kind of just stayed on their own plot and worked by themselves. Evan was the exception, right away he offered Kai, a volunteer, a piece of his plot in exchange for help, and together they got a lot of work done. Even having just one other person to help with a job makes everything go faster. The real magic happened in the second summer when we all started grouping together to help out on one project. My house wouldn’t have been buried before winter if I didn’t have the help of the other Ants and the volunteers I hosted. We got some big things done quite quickly. On a personal level I learned that isolation in the woods has its benefits and its costs. I loved the environment, and I felt really healthy walking all over the land and breathing forest air. It’s an incredibly peaceful existence. At the same time, there was some stress involved because finding work that far from a city was pretty challenging, not to mention the hassle of driving and hour each way to get supplies when I could afford them. However, the hardest part was being so isolated from my family and the people I am close to. Looking back, it may have been poor design on my part to move to Montana when most of my friends and family are in California. Your social network is a huge resource, it’s all those positive relationship connections. You never know when a random friend on acquaintance is going to provide you with a missing piece of the puzzle. In permaculture we say the more connections, the more resilient the system. Outside of Wheaton Labs, I don’t have many connections in Montana. Right now my life is moving towards wanting to build a thriving permaculture design business so I can do more projects in the public eye, and have a bigger impact on the world. It’s bound to be much easier for me to do that in a place where I have many connections, so I will likely be settling down somewhere in California once my schooling is done. For now, I am holding on to my plot in the Ant Village as kind of a retreat, and a long term project to express some of my wilder ideas. SPS! 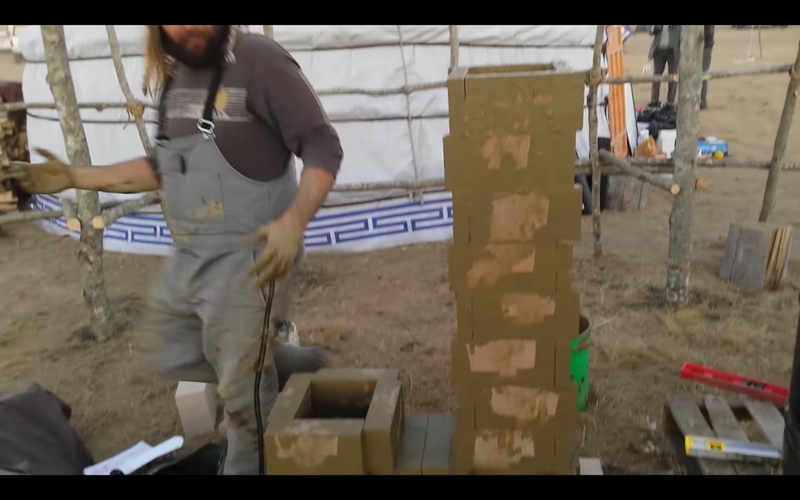 You ran a go fund me campaign last year to support the water protectors and build a Rocket Mass heater at the Sacred Stone Camp at Standing Rock. What was the whole experience of being there like? I’m going to borrow something from a friend of mine who spent months at Standing Rock: trying to describe the experience is like that old analogy of two blind people trying to describe an elephant based on the part that they can feel. There were so many different people with so many different agendas and opinions on what needed to be done, so there was a bit of chaotic energy, but there was also this huge sense of common purpose floating above it all. It was quite inspiring to be around thousands of people who all believe that we need to make some big positive changes in our world, who felt this so strongly that they dropped everything to travel out to North Dakota and try to do something about it. From my perspective, there was a lot of people who were just looking for a way to contribute to the cause, but there was no clear pathway to stopping the pipeline in the face of such opposition. For me and the group of people I ended up working with, the focus was on providing warm spaces to enable water protectors to stay the winter, and educating as many people as possible about the alternatives to fossil fuel based building and heating technologies. SPS! 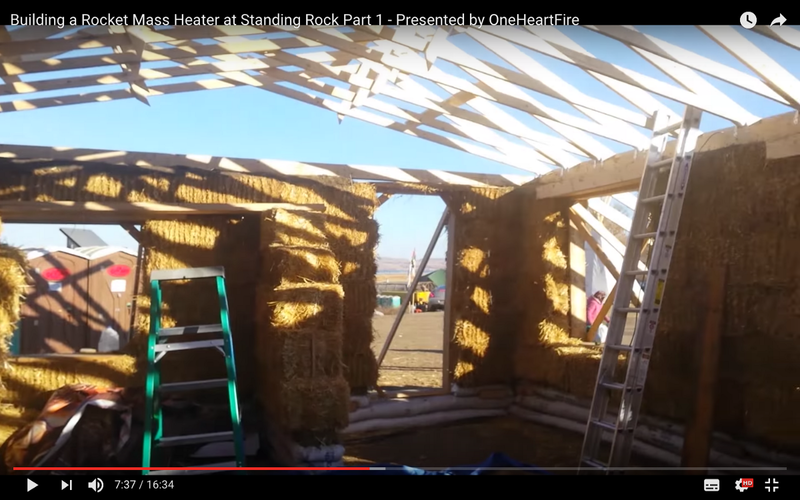 The straw bale schoolhouse you helped with went up very quickly. How quickly do you think buildings like that could go up given enough hands and better weather? It was pretty amazing to witness. I think it was all possible because we had a core group of experienced builders who were dedicated and willing to show up every morning and get to to work, combined with a steady flow of enthusiastic volunteers. At one point, with a blizzard in full swing outside, we had about 15 people working together to plaster the interior walls with cob. We had to thaw out water to mix the cob, and dig out clay from under the snow. I think with good project management, readily available materials, and an enthusiastic crew of 15 people, we could build a similar straw bale structure in less than a month, possibly less. Professional crews can build a modern stick frame tract home in a week, I think the same could be true for natural building. It’s just a change of techniques and materials, much of the process is the same. The straw bale schoolhouse was recently bulldozed by the BIA after they kicked everyone out of Sacred Stone. As much as I am disappointed by this, I am still thankful for the whole experience, as it showed so many people how big things are possible when we decide to work together to improve our own communities. I think that example was more valuable than any building could ever be, and I also feel that’s why the building was torn down. Like I said before, empowering people with the skills and knowledge to provide for themselves is a truly revolutionary act. SPS! What did the other people you went with get involved with during your stay there? My friends Evan and Carol-Anne came along with me, and they both did a few different things, along with helping with the straw bale and the rocket mass heater. One of Evan’s goals was to teach people how to build a simple wood fired rocket cook stove that he had designed using recycled coffee and soup cans. Everyone was using propane to cook with, and he wanted to show them that they could be cooking with sticks instead of supporting the fossil fuel industry. I made a video with him about how to build and cook with one of the rocket stoves. Carol-Anne helped me quite a bit with the rocket mass heater, along with helping many other people with their tasks. She cooked amazing meals for the build crew, helped with organizing donations, dug holes for pit toilets, and helped with organizing volunteers when Sacred Stone really ramped up their efforts to winterize the camp. She ended up staying at the camp and helping with a number of things. She was there when the people at Sacred Stone got evicted by the BIA, and now she is at another camp being set up to fight the Keystone XL pipeline. SPS! Anything else you would like to say about Standing Rock and the situation now since you have returned? In the months since my time at Standing Rock, I have had a lot of time to think about my experience, and the experience of the movement as a whole, and come to some of my own conclusions. One of my conclusions is that in order for our movement to be truly successful, meaning a complete paradigm shift in the way our culture relates to the Earth and each other, than we are going to have to do a lot more than protest pipelines and voice our opposition to ecological destruction. As important as those actions are, they are only addressing a small part of the picture. The truth is, the black snake is everywhere. It is in our cars, it is in our houses, it is in our yards, at our work places, and on our plates. The fossil fuel monster has woven its way into nearly every aspect of our lives, and our continued, widespread use of fossil fuels in our own lives is driving the demand for more oil wells, and more pipelines. If we want to kill the black snake we have to stop inviting it into our lives, we have to transition towards better alternatives, and we have to do it ourselves. If we wait for the government to change things, it will be too little too late. There is a lot of work to do in our own homes and communities, and we all have a part to play in some of the most important work in human history. Furthermore, in order to take care of our own needs, and to ensure we have the strength and energy to continue this work in the long term, we need to create ways in which we can make a living while healing the Earth. We need to start building an ecologically based economy to replace the extraction economy. So, with this in mind, I have made the decision enrol in a professional permaculture landscaping training program, which will give me the skills to build a business that supports myself and others, while doing work that helps to heal the Earth, and creating large scale demonstrations of what is possible when we choose to work with Nature instead of against her. The program is called the Ecological Landscaper Immersion, presented by the Permaculture Skills Center in Sebastopol, California. I have already been accepted, and I am running another GoFundMe campaign to help raise money for the tuition. The first time I ever heard the word permaculture was back in 2011, during a short introductory workshop. That day, a whole new world of ideas opened up to me, an entirely different way of looking at the people and environments around me. I saw that permaculture held the tools to create a better future, the possibility to teach us how to live on this Earth in a way that benefits not only ourselves and our communities, but all the rest of the natural world as well, all of our relatives here on this planet that is our home. My life was changed forever by this moment, and since then I have dedicated my life to learning more about permaculture and sharing this knowledge with others, in the hopes that they might have a similar life changing moment and join in the work of creating a positive future for humanity and the planet. In the time since then, I have taken two permaculture design courses and various other workshops, gained experience and skills through many hours of volunteer work at permaculture farms and natural building projects, and dove head first into the world of permaculture homesteading by joining the Ant Village community at Wheaton Labs in Montana. 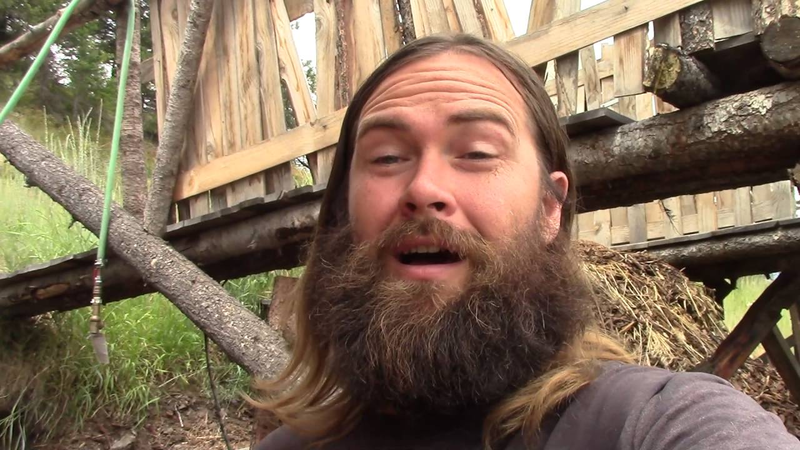 Throughout all of this I have pursued my mission of sharing permaculture with the world by talking with people and hosting small workshops, but primarily by creating videos about my experiences and sharing them on the One Heart Fire Youtube channel. I have also started to build a right livelihood by doing permaculture design projects and installations for friends and family, turning my knowledge and energy into real soil, water, and permanent food sources for my clients.